Gently contoured for feminine fit but still spacious & roomy. 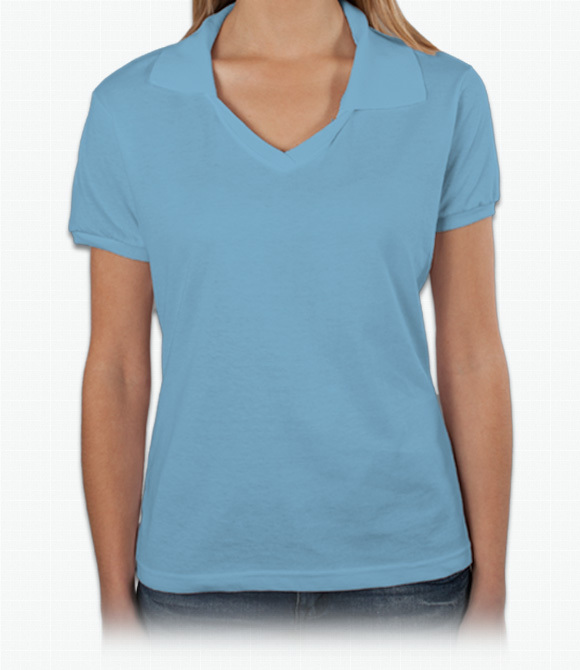 Cotton jersey blended with polyester is good for durability. "I like the shirts but the size runs too small, they are ladies shirts and the size seem to be for elementary children. None of my employees were able to use them! It was a waste of money since we do not fit in those shirts even though I got a size bigger for all my employees they are too small."